Mercedes has a new model: the SL 65 AMG Black. It comes in at a cool $320,000. 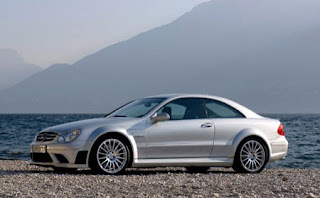 The "standard" SL model is a mere $100,000. So you pay an additional $220,000 for the 661 horsepower engine and trick suspension, etc. 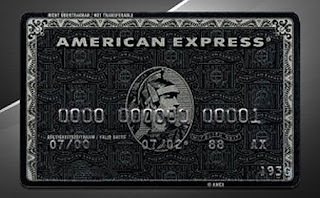 American Express? This card is so exclusive that you can't even find it on their site. I'm sure it's available "by invitation only". At some point, the ultra-rich will start wearing black jewelry to keep current. What price exclusivity? A high price for sure. I'd suggest that you can be exclusive in your humility. Be proud of shopping at "The Big Department Store" (as my aunt and dad used to call The Goodwill). Be proud of re-using something that most people would throw away. Be proud of... ooops, when you're proud, you're no longer humble (as C.S. Lewis once said). I am very exclusive. My finances exclude me from most purchases. Thanks for visiting my site. I'd add something quaint or unique on exclusivity, but my depression is biting today. I'll try to stop back by. Have a better than average Monday.